The largest, strongest, fastest and most capable drones on the market are targeted toward the professional community. These are the types of machines that the movie industry puts to work, that commercial agencies use to inspect infrastructure and search and rescue teams rely on to save lives. We’re super excited that many of our favorite smaller consumer drones can handle some of the simpler professional drone needs, but we’ll explore more of that below. If you are looking for a commercial drone, a machine for tasks like mapping, surveying and deliveries, we recommend checking out our Best commercial drones list instead. You don’t have to fly a drone for work to enjoy these machines, but most do come with a hefty price. Join us for a list of some of the best professional drones. We’ll proceed today with little rhyme or reason, I plan to lump together camera drones with search and rescue drones and more. We originally thought we might approach this from a price perspective, making this a list of drones over $2000. Truth is, just like friends, great drones come in all sizes, and your professional needs may differ from other pilots around, so we have no price limits here today. You can fly these drones at home for fun, but please remember that if you are being paid to fly, you need to have your Part 107 license in the United States. We’re working on our content, our drone pilot training, or you can hit up our preferred training provider Drone Pilot Ground School. Update: DJI has released the new Zenmuse X7 camera, upping the game to 6K video recording. Enjoy interchangeable lenses and the best camera experience from DJI, short of the Hasselblad branded shooter. DJI blew us away with the Inspire 2, a high-speed flier with the best camera capabilities on a drone today. 5.2K video resolution exceeds that of most high-end DSLR cameras, never mind competing drones. The dual pilot system adds versatility in a professional capacity that any movie maker or news team can put to use. The Inspire 2 is a drone that any enthusiast can enjoy as well, with similar flight modes as most other DJI products today. We believe the Inspire 2 can be put to use for aerial photographers, whether amateur or pro, or any other application that might benefit from high-speed maneuverability with a powerful camera. Get your hands on the DJI Inspire 2 without camera for $2,699 on Amazon, or the full package DJI Inspire 2 for $4,299 on Amazon today. Yuneec produces relatively large drones, with the Tornado H920 Plus being one of the largest. This isn’t just for posterity, they’ve made it as large as they felt it needed to be to take your expensive camera into the sky for smooth, secure and stable video capture. The H920 Plus is a recent update to the H920, a solid offering in itself, but the new rig offers a new camera option and better flight controls. It is so new, unfortunately, that it is not yet up for sale. For now, check out the Yuneec Tornado H920 for $2,799 on Amazon today. The DJI Mavic 2 platform is proving powerful and versatile with the addition of the Mavic 2 Enterprise. The easiest way to explain this machine is if you take a DJI Mavic 2 Zoom, add in ADS-B support, 24GB of encrypted internal storage and then add a mount for a few accessories on top. Those accessories include a high-visibility beacon to satisfy long range visibility requirements, a loudspeaker to play short messages, and a spotlight that is about as bright as the high beams on a car. A package that is ideal for search and rescue operations, if nothing else. The DJI Mavic 2 Enterprise has a starting price of $1999, and there is a Fly More kit available with extra batteries and more. The DJI Mavic 2 Pro is a powerful folding machine that takes the best of the Mavic line and adds a full 1-inch sensor. That is, this is the best of the Mavic line now, I suppose. The all-direction obstacle avoidance, over thirty minute flight time and superb new camera make for one of the best camera drones around, all in a package that folds to easily fit in a backpack. If you do not need the larger camera sensor, don’t forget about the DJI Mavic 2 Zoom, which offers a 2x optical zoom. Check out the DJI Mavic 2 Pro for $1,545 today. Add on the Fly More kit to fly longer. If you have to ask how much it costs, you can’t afford it. 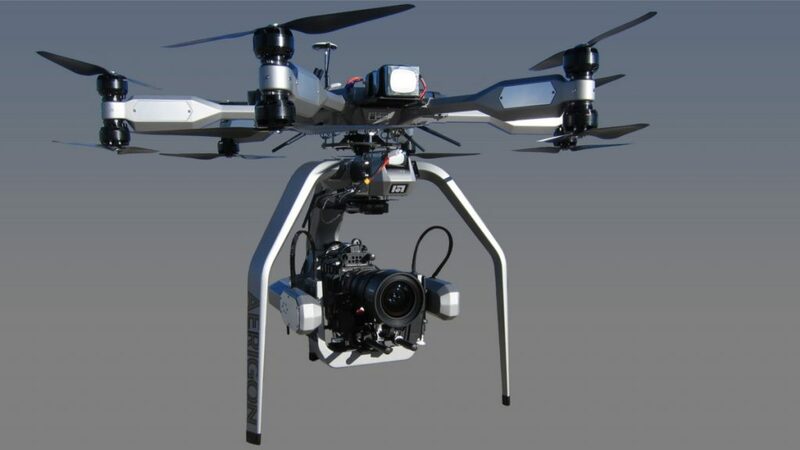 A full blown rig from Intuitive Aerial can set you back $25000 or more, including Hollywood style monster video cameras. The idea of the Aerigon MK II is simple, put your camera in the sky. We’re not talking about mounting your phone, GoPro, point-and-shoot or even your DSLR, we’re talking about 15 lb professional camera rigs. With an example rig costing a full quarter of a million dollars, the media team at BrainFarm shoot 4K commercials and more, and you can too, if you can afford it. 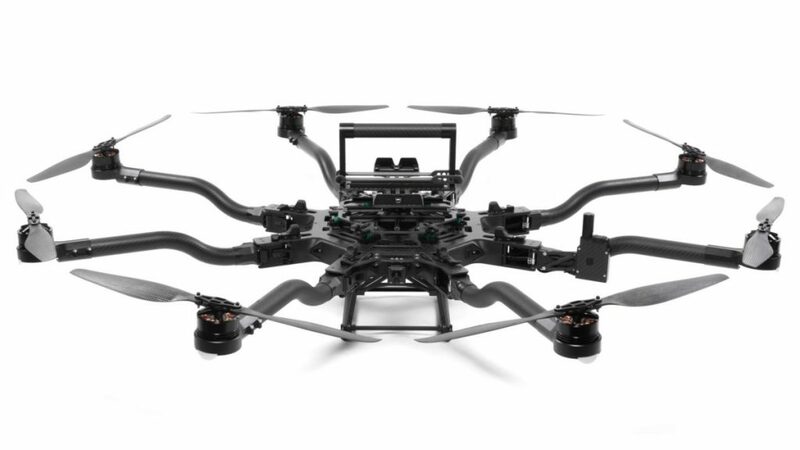 The FreeFly Alta 8 is a massive drone with a huge payload. Measuring almost 4 feet across, the Alta 8 can pack up to 26 lbs of gear, including the batteries and such – so only about 20 lbs of camera. While FreeFly promotes themselves as film enthusiasts, the Alta packs an optional top mount for your camera. 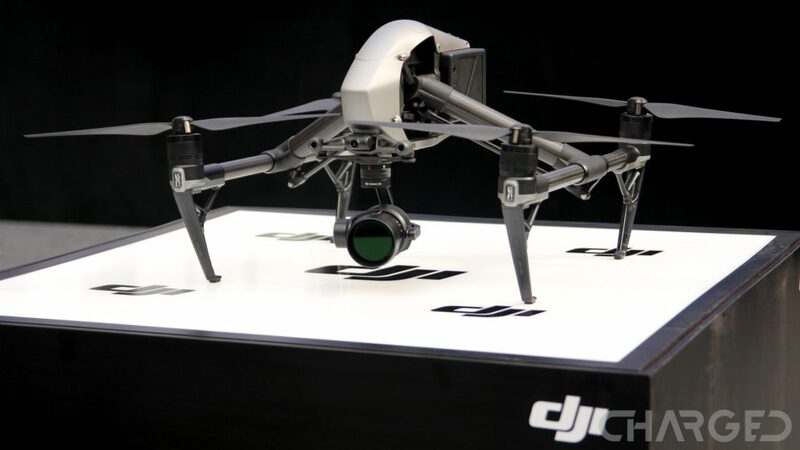 We introduced this idea with the DJI M200 series recently, but FreeFly has had it for a time already. Commercial drone pilots will be able to inspect the underbelly of bridges with either of these options. If you are looking for a little less payload and a smaller drone, the FreeFly Alta 6 is a hexacopter take on the same air frame. 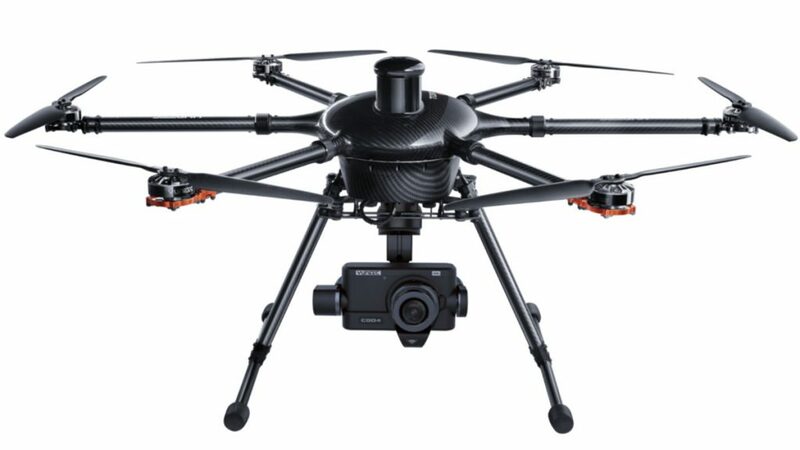 There is a lighter Alta 6 as well, if this is too much, but drones of this caliber come at a price, look to spend about $17,495.00 on the FreeFly Alta 8 on Amazon today. The FreeFly Alta 6 is $11,995 on Amazon. Less than half that if you buy used. Intel’s Falcon 8 and Falcon 8+ have been flying the skies for some fun inspection projects around the globe. These are not the sort of drones you pick up cheap and fly in your backyard, but if you are serious about inspection services, or other high flying, high-end camera needs, the Falcon 8+ could be the drone for you. More than just a drone, Intel Insight is a powerful software package that takes your images from the sky and performs magic on them. Well, maybe not magic, but creating a full 3D map out of stills is fairly slick. 3D mapping is only the start, Intel Insight is designed to assist in the inspection process. The software is able to identify and highlight any changes of an object after you collect subsequent scans. At InterDrone 2017 we watched as the drone scanned the facade of a building, changes were then made, removing screws and lights, etc. The second scan was able to identify these changes. The idea is to automate much of the menial work, place that info in front of a human who can then decide to repair or ignore the real world object. 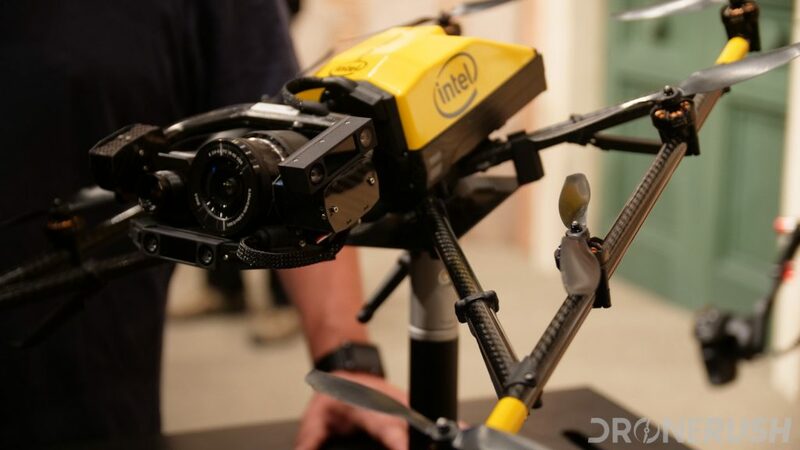 We do not have a price tag for the Intel Falcon 8+ drone, but we’ve heard the number $42,000.00 floating around. A small price to pay if you need these sorts of tools. We’re not saying that being in the military makes you a professional, but, it sort of does, doesn’t it? 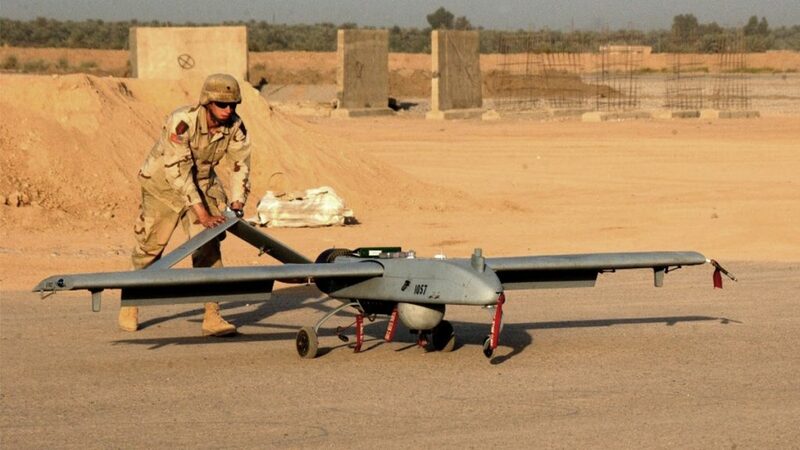 If you are looking for something more than your standard camera rig or quadcopter, maybe one of our list of military drones can help. That’s all we have for today, I hope you can see the value in the various drone options presented. If nothing else, I hope we’ve given you a sense of the types of industries and workloads that drones are supporting today. We did not discuss passenger drones, nor did we get into law enforcement and military equipment – we tried to stick to drones that you can actually go to a store and purchase, even the ones that the average pilot can’t afford. Is there a commercial or professional drone that you think should have been on this list? Which of these pro drones would you like to play with for a non-pro flight?